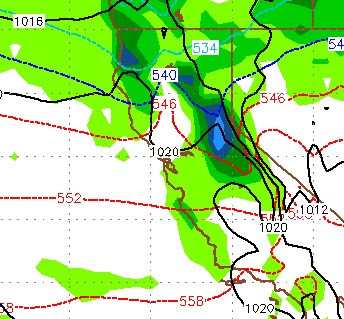 The weather models are moving our slider slightly further west on its trajectory to Tahoe. That could bode well for more moisture for the storm to work with. I was not bullish on this storm yesterday. Today I am a little more optimistic. The storm comes in tonight and will stick around through Tuesday. The impact of this storm will be felt on the eastern side of the Sierra Crest and the Carson Range. Perhaps the biggest impact is the cold front that is coming with this storm. Temperatures will be much colder through most of the week. Nobody is trying to predict snowfall amounts. I am going with 6-18 inches for the Carson Range by Tuesday night. Slightly more for the eastern side of the Sierra Crest. Dry weather follows through the week. If this holds together, we could get come spill over the crest, but I am not pinning my hopes on it. After this storm moves through, high pressure will dominate for at least the next week. As storms continue to move into Northern California, they slide south, not generating enough energy to make it over the Sierra. Our two best chances for snow come Sunday morning around 10:00 am and then very late on Sunday night through Monday morning. 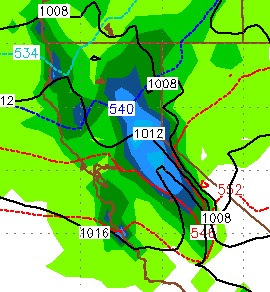 I would say the storm tomorrow morning has the best trajectory to make it over the Sierra and have an impact on the Carson Range. When we have this divergence in the models what usually happens is something in between. In that case look for light snow Sunday night through the morning on Monday. All models have things drying out for at least the next 7 days and then we may be entering another storm cycle. 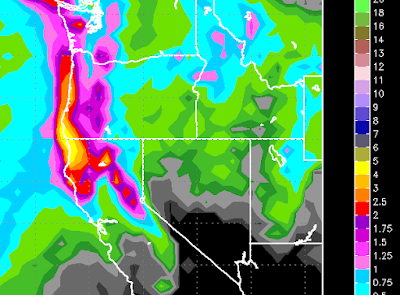 A series of storms will move into California. Beneficial rains will make it further south. 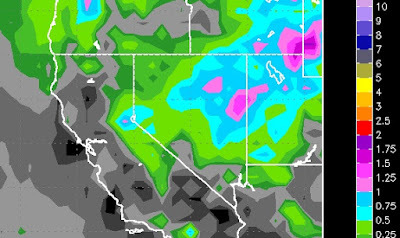 This time, the Central Sierra appears to be in the Bullseye. That is until Monday. Before we get into that, these storms are moving out of the north. For the most part they will stay on the other side of the Sierra as they move south through California. However, we will pick up some precipitation. Between now and Monday I expect about 12-18 inches for the Carson, double that for the west side of the lake and more the further west you go. The above picture is the forecast for very early on Monday morning. 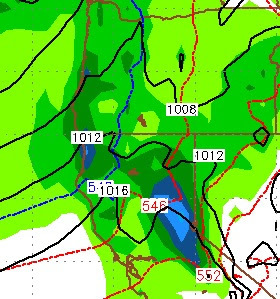 this should stick with us for a good 12-18 hours or so and bring about an inch and a half of liquid to the Carson range and perhaps triple that for the Western Crest. We predict that the lifts will spin tomorrow. Tomorrow night brings in our first wave, but with any luck the winds die down for a very good day on Saturday. They will pick up in the afternoon and may cause lift closures. The heavy winds come in Saturday night but again, should die down by Sunday @ 8:30am. Monday could be the day, but winds will be strong in the morning and throughout the day. I believe they will have at least the slide lift spinning on Monday. This storm is the gift that will keep on giving. 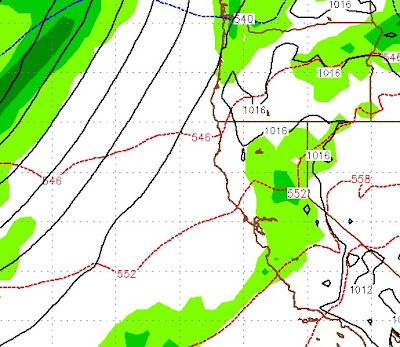 It will stall out off the NW USA coast and send multiple waves of moisture south ... toward Tahoe. 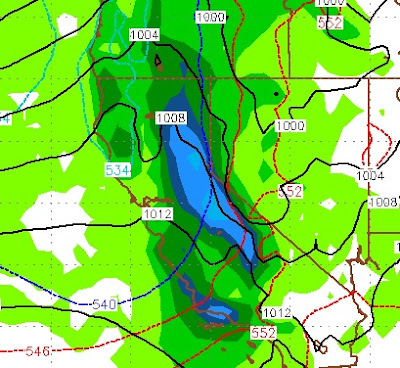 On Saturday night, through most of the day on Sunday we should see very heavy snow above 7,000 feet (I hope). There is so much moisture associated with this storm, that those snow levels could creep up to 8,000 feet to begin with. Through the morning and day on Sunday, snow levels will come down and I believe the leeward foothills (Arrow Creek, Galena Forest, etc) could see up to 6 inches of snow.